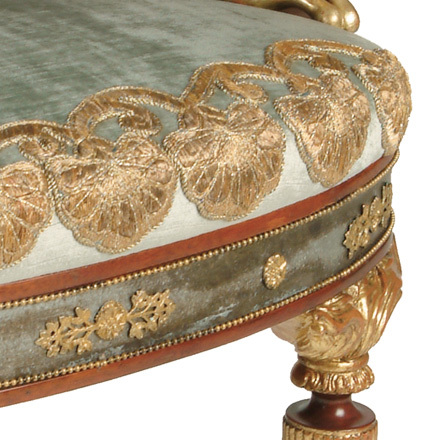 An Austro-Hungarian ormolu-mounted mahogany and parcel-gilt armchair. 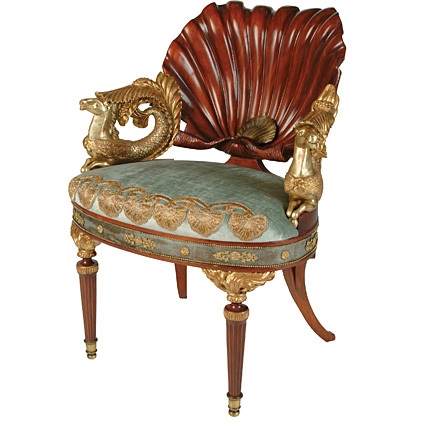 All the elements of this chair are attributes of Venus, Goddess of Love. Born of the sea, Venus floated ashore in a scallop-shell. 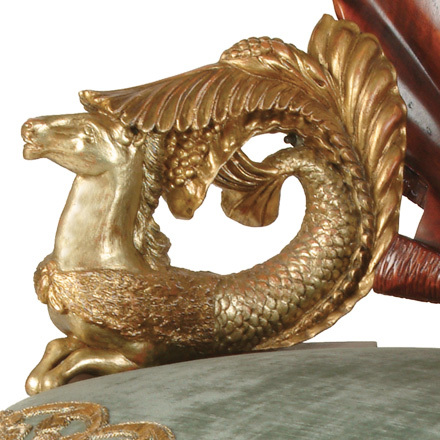 Drawn by hip-pocampi, fabled creatures with the fore-parts of a horse and the hind-parts of a fish, the scallop-shell becomes the vessel of the marine deities. The flaming torches which appear in the seat and form the front legs signify the fire of love. Finally the roses which decorate the back legs are sacred to Venus because of their beauty and fragrance. 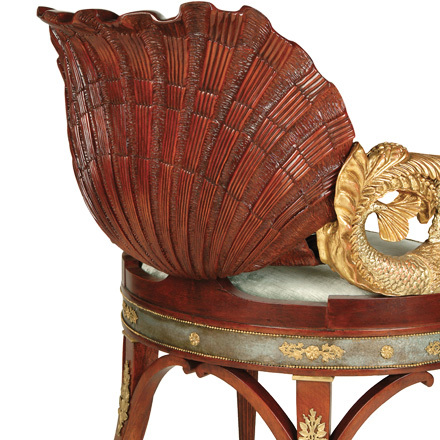 The original chair, c. 1800, is in the collection of Mr. and Mrs. Gordon Getty, San Francisco. Ann Getty has redesigned this chair from the original.